This policy-swerve-by-tweet reflects a chaotic national security process. But it also lays bare a broader problem with the Trump administration’s approach to sanctions: Despite their extensive use against North Korea, Russia and Venezuela, sanctions are not working particularly well to solve any of the national security challenges. The problem is not a lack of effort by the Treasury Department, which has been churning out innovative sanctions at a breakneck pace. But sanctions are not an elixir that magically achieve desired foreign policy outcomes. 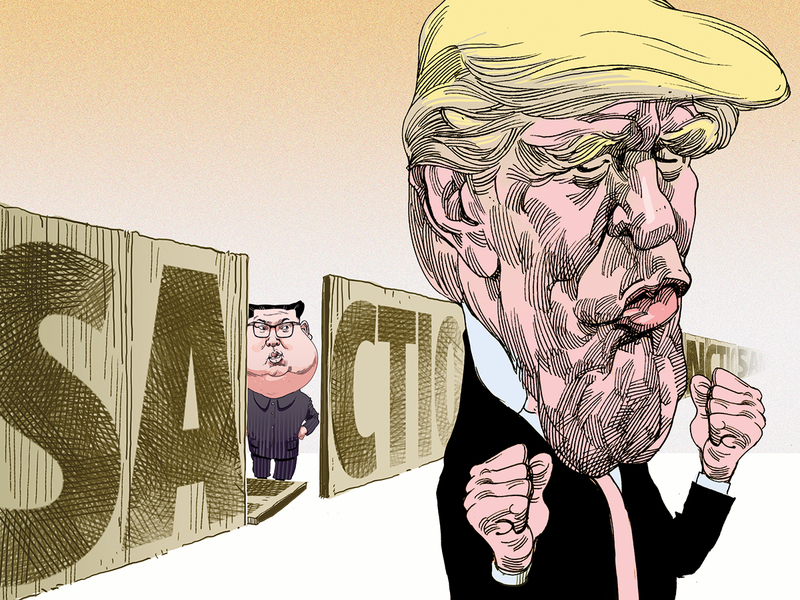 Second, sanctions must be used alongside other tools for projecting US power, including diplomacy, economic aid and assistance, and military signalling. Sanctions alone rarely accomplish much. And third, sanctions work best when they are amplified by complementary actions by international partners that share the policy objective. Although the US dollar and financial system — the key levers that make our sanctions powerful — dominate international trade and finance, we live in an interdependent world. If others, particularly major economies, seek to circumvent our sanctions, there are ways to do so. In North Korea, the Trump administration fails on all three prongs. There is no clearly articulated policy objective — are we seeking “the final, fully verified denuclearisation of North Korea,” or can we all “sleep well” now that the threat has been neutralised because of the personal relationship between Trump and Kim Jong Un? Moreover, there is no whole-of-government effort to achieve this policy, not since Trump unilaterally stood down on military exercises and enfeebled his diplomats by making clear that only he alone could negotiate with Kim. Trump’s Russia policy is a jumbled mess. Congress has legislated harsh sanctions and the Treasury Department boasts that it has “conducted a robust and prolonged campaign to counter the full range of Russian malign activity.” The president, however, has proved himself unwilling or incapable of pushing back on Russia, whether for its election interference here, its unlawful incursion into Ukraine, or its support for Syria’s Bashar Al Assad. Put simply, sanctions in service of a muddled policy do not work. Finally, Venezuela is something of a mixed bag. The United States is calling for regime change. But as in Iran, the Trump administration has not brought other countries — including, notably, Russia, China and India — on-board the effort. Although there is little doubt that US sanctions are exacerbating the dreadful economic situation in Venezuela, it is hard to imagine President Nicols Maduro relinquishing power to relieve the sanctions pressure. The Maduro regime may fall, but if it does, the Trump administration’s sanctions are unlikely to be the cause. The extensive use of unilateral sanctions in pursuit of unclear or unattainable goals is more likely to diminish the power of sanctions, as other countries develop workarounds that avoid the dollar and the US financial system. That is especially a danger when sanctions are imposed or withdrawn based on the whims of a president who falls in and out of love with US sanctions’ targets. David Cohen is the former deputy director of the CIA and US undersecretary of the treasury for terrorism and financial intelligence.